Important Information About Your Loan at Freeway Funding, Inc.
Paragraph 2.d on the back page of your vehicle sales contract states: You agree to have physical damage insurance covering loss of or damage to the vehicle for the term of this contract. Paragraph 11580.1b of the California Insurance Code requires that liability and property damage insurance is placed on all vehicles registered in California. URGENT NOTICE – Many “discount” insurance policies cover ONLY the driver that purchased the policy. If you let anyone drive your car and it’s involved in an accident, YOU are responsible for ALL damages. Improve your credit score by paying your vehicle loan on time. Freeway Funding does report to the Credit Reporting Bureau once a month. 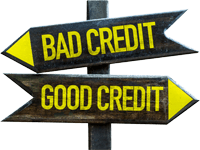 Stay current, don’t fall behind and watch your credit score go up! Check the Federal Trade Commission Web Site for great information.